ACCL » Heisse, John R.
John R. Heisse is a partner in the San Francisco office of Pillsbury Winthrop Shaw Pittman LLP, and the immediate past chair of its Construction Counseling & Dispute Resolution practice. He graduated from the Catholic University of America with a Bachelor of Civil Engineeing in 1976, and received his J.D. degree from the University of California Hastings College of the Law in 1980. Since then, he has focused his practice on the legal issues and disputes facing the construction industry and has arbitrated, litigated, and mediated construction cases on complex projects across the US, including ballparks, hospitals, industrial facilities, roads, bridges, airports, pipelines, and alternative energy facilities. He also serves as an arbitrator and mediator. John served as the Chair of the ABA’s Forum on the Construction Industry, and is regularly ranked in publications such as Chambers USA, Best Lawyers in America, Who’s Who Legal, and Legal 500. 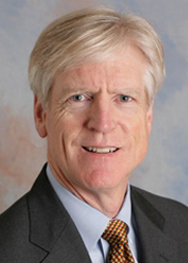 He has been named one of the top 100 lawyers in Northern California each year since 2012. He was named by Best Lawyers as 2014 and 2016 “Lawyer of the Year—San Francisco” in Construction Law. He currently serves as the ACCL’s Secretary.